"Copyrighted 2004-2013" Definitely not a site I would ever trust. Unless you intentionally took an old picture/post as an example? By that logic, do you also not trust tip.it? "© 1999 - 2013 RuneScape Tips, all rights reserved." Still down. Linode are having a really bad day with this. DarkScape option has been added to the latest Staff Server build if anyone wants to test it out. 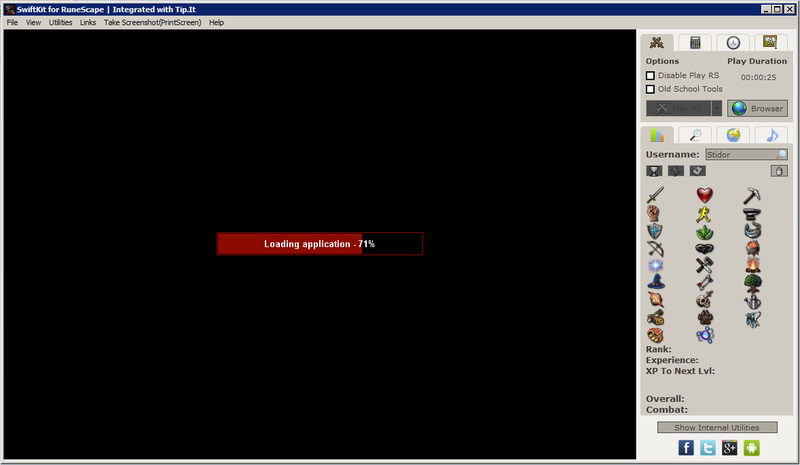 Most likely need the latest/recent RSClient installed. #5563752 Custom SK Sigs, with your username. 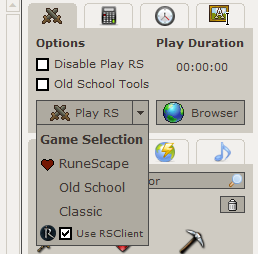 So far so good with the update to embed the RS Client. Have decided to completely remove the Chrome option as the only reason to leave it would be for HTML5 BETA which seems to have been abandoned. After the chrome update broke SwiftKit+Chrome I'm going to look at SwiftKit embedding the RSClient like it does/did Chrome. So there may be some updates in the near future. SwiftKit is very much in maintenance mode. If anything important breaks I'll fix it but aside from that no real development is going on. I often get the urge to re-write SwiftKit but I just don't think there's enough of a community behind RuneScape left for it to be worthwhile. Hmm yep confirmed. I'll take a look at it. It happens every now and then. The AV (generally less known and less reliable vendors) flags the software as a false positive. Try downloading from one of the mirrors on our download page. 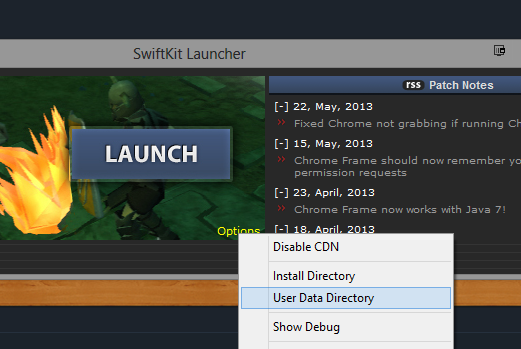 Maybe try deleting your SwiftKit Chrome Cache - or renaming it. Ok, I'm still working on getting Java 7 working which will in turn change quite a few things so it will hopefully fix this issue. Keep an eye out or subscribe to the topic and I'll let you know once an update is available on the staff server.